Visit website for menu, directions and much more! 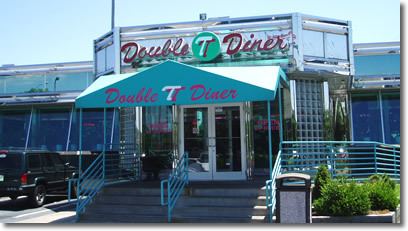 Our Double T Diner restaurant in Pasadena, Maryland is conveniently located at the corner of Mountain Road and Richie Highway (Route 2) near the interchange with Route 100. Everything on our menu is homemade and our breakfast is served 24 hours a day. We are proud to have served the Pasadena area since 1993. It is always a real privilege and pleasure to serve you. If you have any questions, concerns or comments, please do not hesitate to call or contact us.